His Excellency, Governor Claude Nyamugabo Bazibuhe of South Kivu in DR Congo, has praised IITA’s efforts to support agricultural development in his region and country and assured the Institute of his government’s support for its activities. 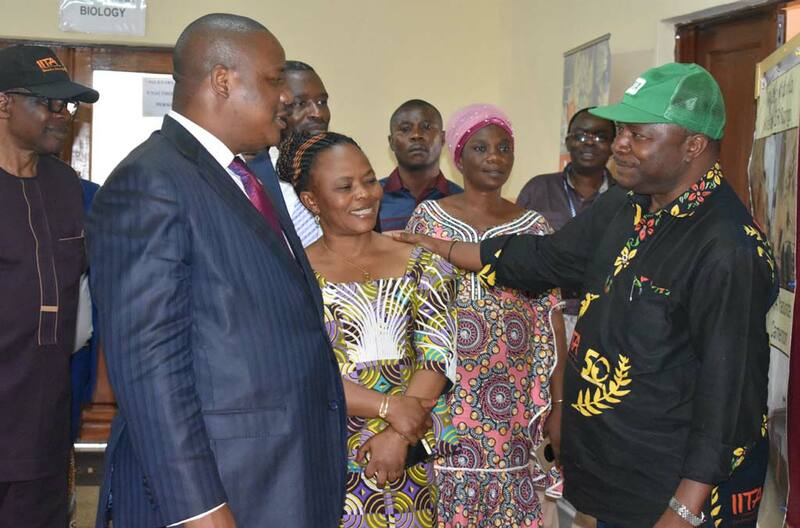 Governor Bazibuhe expressed his sentiments when he made an official visit to IITA-Kalambo station on 23 May. DG Sanginga (right) led His Excellency, Governor Claude Nyamugabo Bazibuhe of South Kivu on a tour of the IITA Kalambo facilities. IITA Director General Nteranya Sanginga led the IITA team in welcoming the Governor at the Kalambo campus. Among those present were IITA Country Representative Zoumana Bamba and the officer-in-charge of the Kalambo station Chris Okafor. DG Sanginga gave the Governor a tour of the research facilities at the station including the ongoing construction of the Tissue Culture building set to be completed later in 2018. “I am very happy that my province is hosting such an important research center in the region. We are happy to have such a center because it projects the good image of our country,” said Governor Bazibuhe when he spoke to the local media, noting that IITA Kalambo station could become one of the best research centers in Africa. Responding to the local press, DG Sanginga said the ongoing research and project activities at the Kalambo station will contribute toward reducing youth unemployment, poverty, and malnutrition within 5 years. IITA has developed technologies and programs that are currently being scaled in respective countries to transform lives in Africa. “We are currently implementing the IITA Youth Agripreneurs program, a change maker, recognizing agriculture as a business and to create employment opportunities for unemployed youth,” Sanginga explained when he spoke about some of the transformative projects and technologies from IITA. He emphasized the potential of the Semi-Autotrophic Hydroponics (SAH) technology to facilitate rapid production and propagation of clean cassava planting materials for farmers living in remote areas. Governor Bazibuhe appreciated IITA’s continued research on cassava and banana, two crops that hold high significance in the South Kivu Province. The Governor noted especially the production of improved cassava varieties, a staple food in Congo, in disease-ravaged areas and the extensive research on banana diseases and increased yield. In parting, the Governor thanked the IITA team and pledged to support the Kalambo research station, saying the provincial government will make every effort to contribute to the growth of the center. 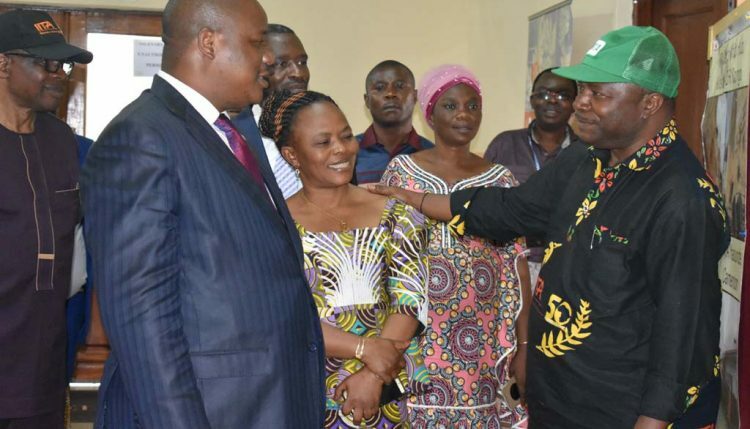 The Governor’s visit came just a day after the DG had paid him a courtesy visit on 22 May during which the DG had briefed him on the activities of IITA in DRC in general and South Kivu in particular, and drew his attention to the bad roads going to the IITA station. The Governor assured the DG that the government has finalized plans to repair the road. He also promised to prmote IITA at the national level particularly to the President of DRC who is interested in developing the agricultural sector.